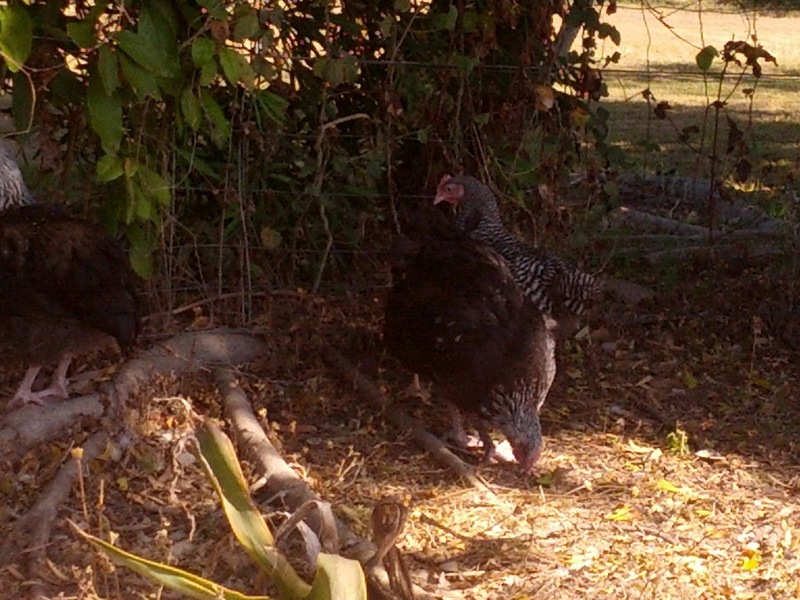 We have had a small gaggle of geese for around a year now and they are finally laying… well at least one is. So having collected the first few eggs, as they were lying here and there with no obvious sign of a nest, she finally started nesting. So the three we collected are in the incubator and I think our goose is sat or 3 or 4 herself. And she is very attentive nester, covering her nest whenever she leaves for feed or a drink; we're rather grateful that she is leaving for these, as some girls become quite ill and unwell as they refuse to leave their nests for anything. Fortunately the geese are not too aggressive, they are a little protective when you approach the nest, but we don't really have any need to. So not a bad spot to nest... well not now we've given her a shelter anyway. Originally she was sat in the hot sun, panting! I know its winter here, but the temperatures still reach the mid- 20's and it is still hot in the direct sun. So she did allow me near the nest to place this cover over for her... think she understood that I was not there to harm her or her nest. 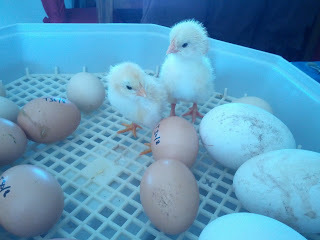 As for those in the incubator we were a little concerned they wouldn't fit, but they do. Strangely though, through our research (having never had goose eggs before) we have to submerse them in warm water after 14 days. From candling there did appear to be action in two of the three, however one appears to have stopped... so fingers crossed for a few goslings later this month! 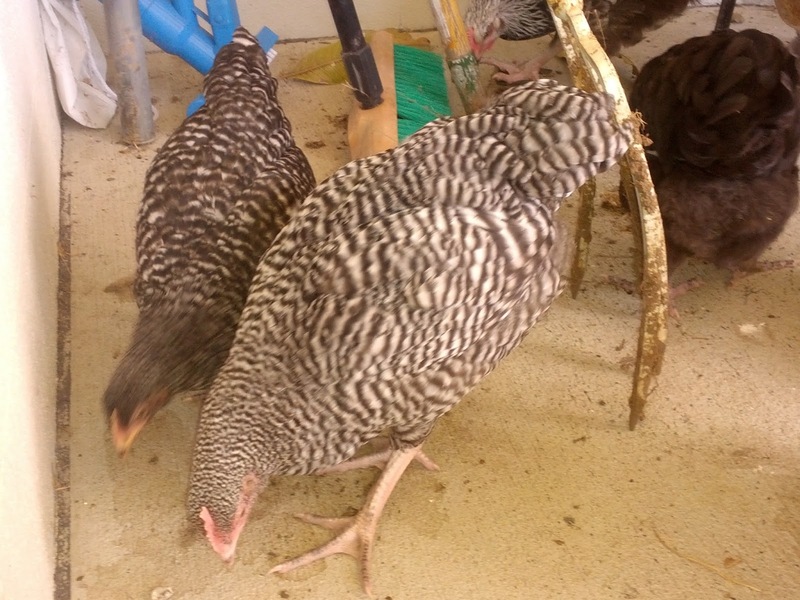 In other poultry happenings our Silver Sussex (definitely 2 roosters and a hen) and pair of Plymouth rocks progressed to the big wide world. Whilst our intention is to keep them in a secure run during the day for the time being, they did appear at home at the weekend; investigating the wider parts of the garden (and patio). This made room for the bantam Indian Game chicks and older turkey poults to move outdoors. 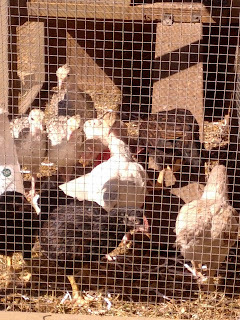 And for the brooder box inhabitants to shuffle around to make room for a few new arrivals. One successful Indian Game chick (from our 2 dozen eggs) and a Light Sussex (or possibly cross) stolen from under the turkeys. These we have removed as they have continued to sit, and the hens continue to replenish thier nest. So hopefully they will forgive us and return to the flock.